Pipes from the swell division of the current instrument. Photo by Gary A. Becker. A pipe organ has been a prominent feature of Trinity’s nave, and a point of pride among its members, for nearly all of the parish’s history. 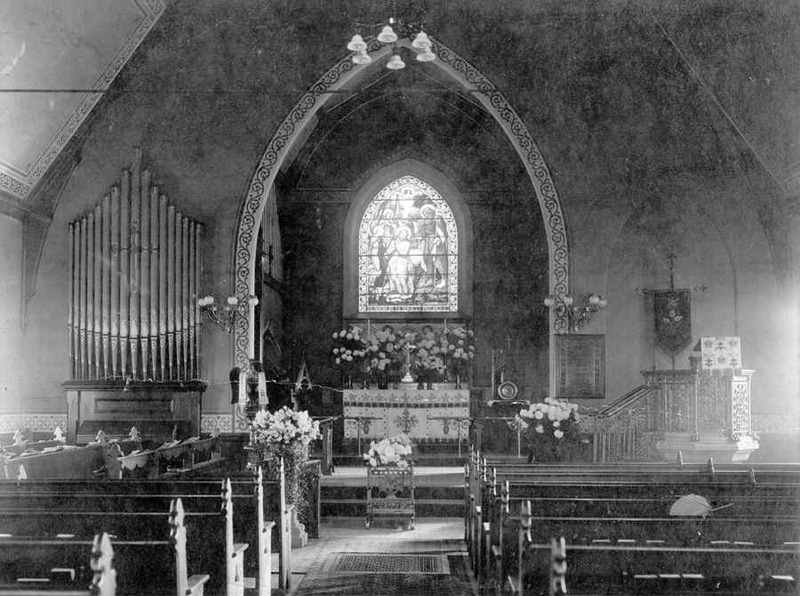 Trinity’s sanctuary, as it appeared in the late 1800s. Of the recital itself, the newspaper wrote, “Of course the principal pieces of the programme were performed by Dr. Willcox on the new organ, but there was some excellent vocal music by ladies and gentlemen who are well and favorably known to Bethlehem audiences…Of the new organ it is only necessary to say that it is a most excellent one, and that wonders in volume of sound, as well as in sweetness and delicateness of expression, were produced by a learned manipulation of its keys and stops by Dr. Willcox. The effect produced in the representation of a thunder storm was grand and sustained throughout. This organ was hand pumped, probably by the sexton or another man from the congregation, and had a “Bellows Signal” the organist could activate when the organ needed more wind. The organ was used in this manner until 1920, when it was electrified by the Durner organ company of Quakertown. It remained in use until 1955, when it was replaced by the church’s current Aeolian-Skinner organ. Mr. Harrison. Photo copyright Charles Callahan. Used with permission. Skinner organ company of Boston, Massachusetts bought the Aeolian organ company and merged the names. Both the Skinner and Aeolian companies had been the leading organ builders of their day. By this time, a young organ builder from England, G. Donald Harrison, had been brought over to work for the Skinner company. Mr. Harrison’s ideas on how an organ should sound and perform were revolutionary. He wanted his instruments to be able to play every period of organ literature with an equal amount of success, including German Baroque, French Romantic, and 20th century American music. He achieved this goal by incorporating sounds from German, French, and English organs, but making his own experiments with them to adapt them to American churches and auditoriums. Such an organ had ever been built. And, because of its unique place in organ history, this type of organ, as built by the Aeolian-Skinner company, soon earned the title of “The American Classic Organ”. All Saints’ Church, Worcester Art Museum, Worcester, Mass. 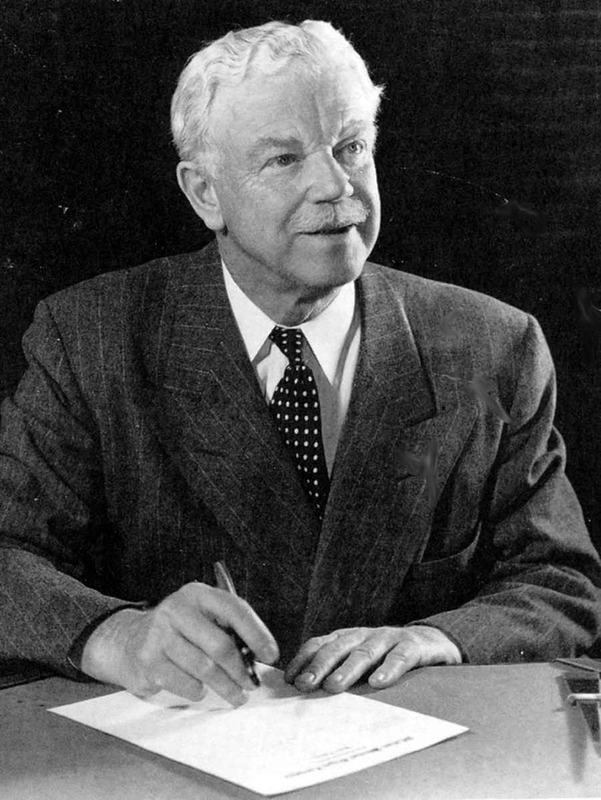 After Mr. Harrison’s death in 1956, the company remained in business for approximately 17 years. However, it is his tenure with the company that gave Aeolian-Skinner its legendary status. The organ console, as restored in 2011. Photo by Gary A. Becker. 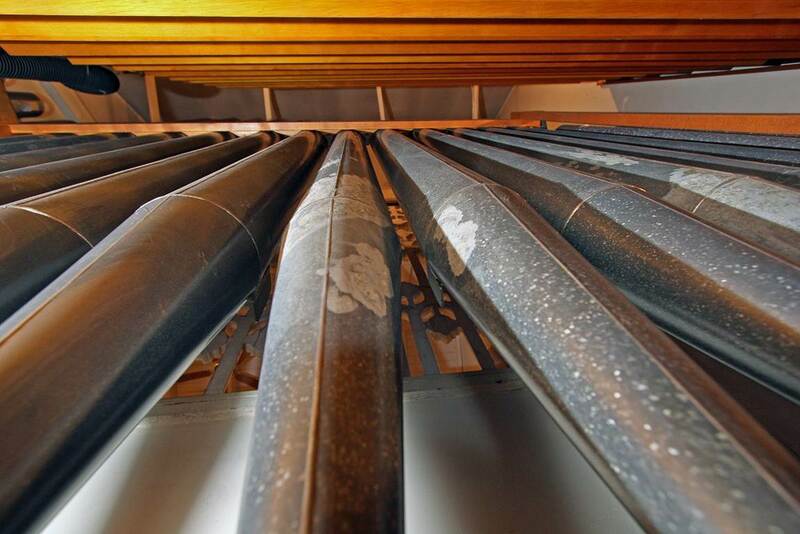 The Aeolian-Skinner pipe organ in Trinity Church was built in Boston in 1954-55. When the construction of a new organ for Trinity Church was initially proposed, a two-manual organ was projected. However, in the process of negotiating a contract for an organ that would suit the needs of Trinity Church, the specifications grew, and ultimately an organ of three manuals was built. William Zeuch who was Vice President of the Aeolian-Skinner Organ Company originally designed the organ. The original contract to build the organ at a cost of $28,430 was signed in August, 1951. To accommodate such an instrument structural changes were necessary in the chancel area of the church. The Aeolian-Skinner Company, at the time with a two-year backlog, was willing to accept the church’s request for a three-year payment period during which funding for structural changes could be arranged and implemented. In March of 1954 the church authorized the engineering and production to commence. The cost increased to $30,793, and installation took place in the fall of 1955. Mr. Zeuch had retired and the project was taken over by G. Donald Harrison, internationally know as a genius of pipe organ tonal design. Harrison proposed modifications to the original specification. Looking down into one of the wind chests. Photo by Gary A. Becker. this type of tone blends better with the strings, giving a Principal effect in the Swell. And a 4′ Spitzflote replaced the originally proposed Flute Triangulaire because, as the only 4′ stop in the Swell, it is a hybrid stop acting both as a Flute and as a Principal. In the Choir Organ, an 8′ Cor-de-Nuit was selected to replace a Concert Flute for the purpose of blending with the mutations and the Cromorne. In the Pedal division, the 16′ Rohr Bourdon was extended from the Swell instead of having an independent 16′ Bourdon of 32 pipes. This allowed the stop to be under expression for accompanying the strings of the instrument. The 8′ Rohrflote was also borrowed from the Swell for soft work. A 4′ Choral Bass, extending from the Contre Basse was added to give the Pedal organ a 4′ stop which Harrison felt was extremely important in carrying the impact of the Pedal Organ. Dr. Norman Coke-Jephcott, organist and choirmaster of the Cathedral Church of St. John the Divine in New York City, played the organ at its dedication. In 1971 Mr. Arthur Birchall, for many years a leading finisher with Aeolian-Skinner, was in Bethlehem working on an installation for another builder. In visiting Trinity Church and the organ on which he had a part in its construction, he agreed with the feasibility of modifying the Great to provide a 4 rank Fourniture in place of the 2 rank Grave Mixture and install a 1-3/5′ Tierce in the place of the 8′ Gemshorn in the Choir organ. The pipes were crafted by a former Aeolian-Skinner pipe maker who worked with Mr. Harrison prior to the dissolution of the company. The installation was completed by Mr. Birchall, in the fall of 1972 with splendid result. The project was funded almost entirely by private contributions and offerings received at a series of noon-day recitals. 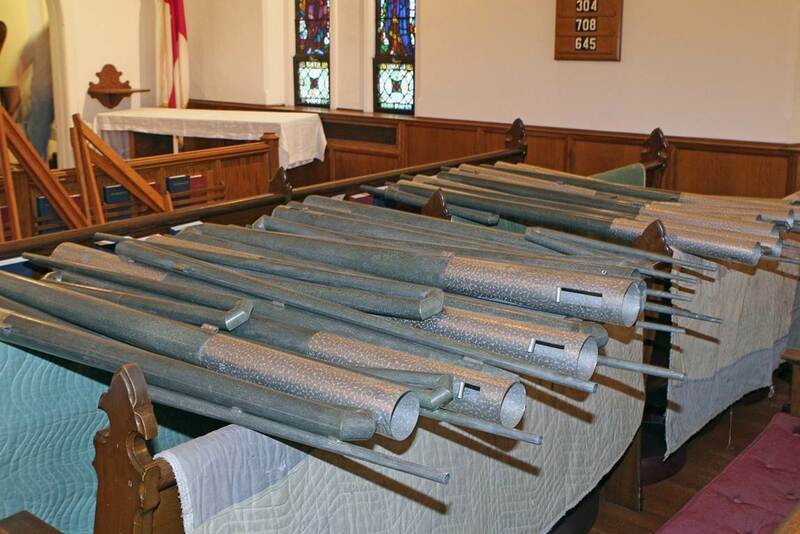 Organ pipes, after removal from the loft. Photo by Gary A. Becker. In 1979 the combination action in the console began to need attention. In the spring of 1986 the need for re-leathering the chests became more and more obvious. A contract was ultimately awarded to John Hendriksen of Pembroke, Massachusetts, brought to Aeolian-Skinner by Mr. Harrison in the early 1950’s. The work commenced in the spring of 1987 and completed in the summer. 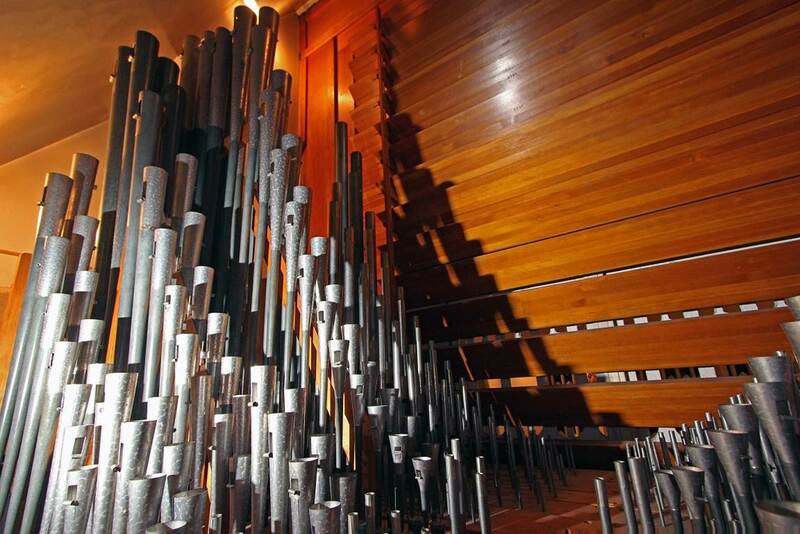 In 1993 all reeds of the organ were cleaned, repaired and regulated by Mr. Hendriksen. 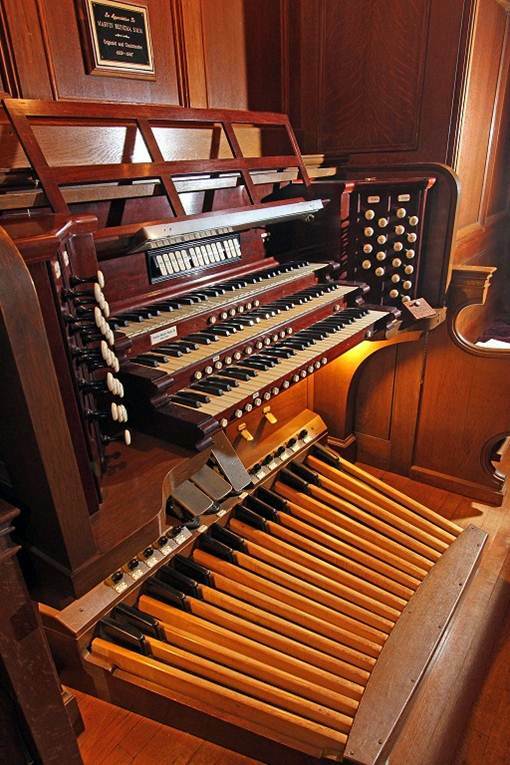 In the early 2000s, it became increasingly clear that the organ would need extensive repair work, ranging from fixing broken keys on the console to completely replacing several key electrical components. In the summer and autumn of 2011, this work was undertaken by Emery Brothers of Allentown. Solid state wiring and memory levels were installed; the pipes were cleaned; the wind chests were re-leathered; and a Zymbelstern was added.